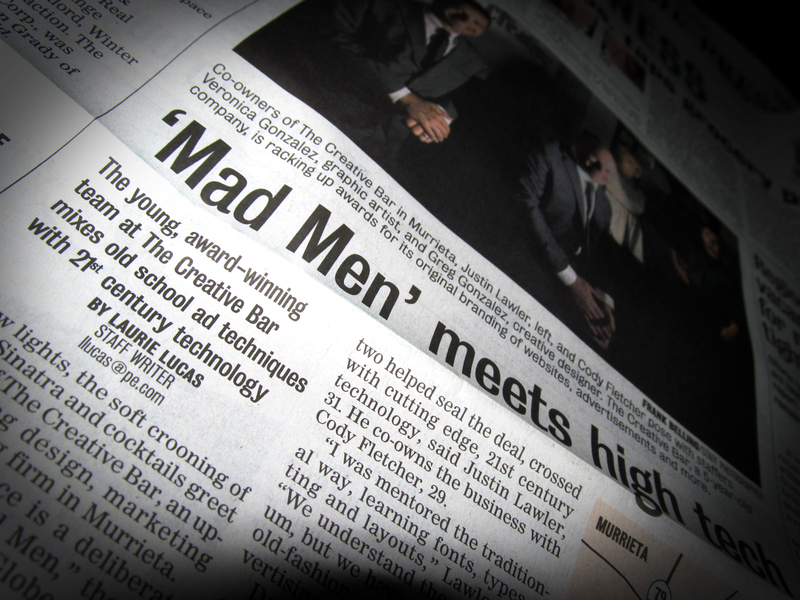 ‘Mad Men’ meets high tech was The Creative Bar’s headline in the The Press Enterprise’s Business section today. The article was a complete company profile featuring interviews with team members, clients, list of recent accomplishments, and future financial goals. Accompanying the article was a map of The Creative Bar’s office location and color company photo. We are honored and excited at the attention this article has already garnered for us and look forward to expanding our clientele.